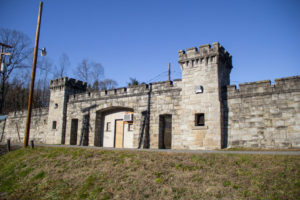 The Mount Hope Historic District is a 58-acre mixed-use historic district located in the city of Mount Hope, a community of c. 1,700 in the mountains of Fayette County, West Virginia, approximately eight miles north of the city of Beckley. The Mount Hope Historic District is divided nearly evenly between residential and commercial buildings, with the remainder including several historic churches, two schools, an athletic playing field, a historic YMCA and a Masonic Lodge building. “Stadium Terrace” is a 25-unit public housing project located along North Pax Avenue. The district contains numerous examples of the architectural styles popular during the 62-year period of significance, as well as a variety of vernacular buildings erected without reference to any particular formal style but which nonetheless reflect the historic building traditions prevalent in this part of West Virginia between the 1890s and the 1950s. 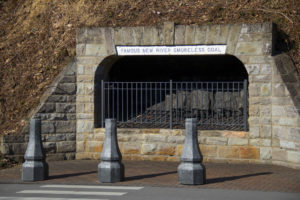 Mount Hope lies in the coal fields of the south-central portion of the state and the historic district lies on both sides of Main Street and also includes portions of some intersecting and parallel streets. 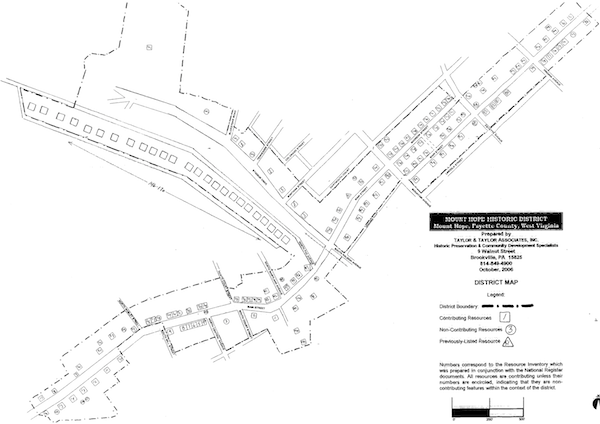 The nominated area contains a total of 170 resources, including commercial and industrial buildings, public and private institutional properties, domestic architecture, a 1939 25-unit public housing project designed by a leading West Virginia architect, along with roadways, historic retaining walls, historic structures, one historic object, a cemetery, and a historic sports facility. One previously-listed property is in the district, the New River Company General Office Building. Of the 170 unlisted resources, 150 contribute to the character of the district and 20 are noncontributing features. Contributing elements are those which both date from within the period of significance of the district and retain individual integrity, while non-contributing resources are those which post-date the period of significance and/or have undergone unsympathetic alteration to the extent that they no longer retain those physical characteristics which define their historic character. Noncontributing resources are scattered throughout the district and their presence fails to diminish the otherwise strong integrity of the nominated area. The district as a whole retains integrity in all of its component qualities and reflects the basic appearance which it enjoyed at the end of the period of significance which begins in 1895, the date marking the incorporation of the community, and ends c. 1957, corresponding to the National Register 50-year guideline. Of the 170 unlisted resources, 150 contribute to the character of the district and 20 are noncontributing features. Contributing elements are those which both date from within the period of significance of the district and retain individual integrity, while non-contributing resources are those which post-date the period of significance and/or have undergone unsympathetic alteration to the extent that they no longer retain those physical characteristics which define their historic character. Noncontributing resources are scattered throughout the district and their presence fails to diminish the otherwise strong integrity of the nominated area. The district as a whole retains integrity in all of its component qualities and reflects the basic appearance which it enjoyed at the end of the period of significance which begins in 1895, the date marking the incorporation of the community, and ends c. 1957, corresponding to the National Register 50-year guideline. The Mount Hope Historic District is divided nearly evenly between residential and commercial buildings, with the remainder including several historic churches, two schools, an athletic playing field, a historic YMCA and a Masonic Lodge building. “Stadium Terrace” is a 25-unit public housing project located along North Pax Avenue. The district contains numerous examples of the architectural styles popular during the 62-year period of significance, as well as a variety of vernacular buildings erected without reference to any particular formal style but which nonetheless reflect the historic building traditions prevalent in this part of West Virginia between the 1890s and the 1950s.